With the popularity of WordPress showing no signs of stopping you would think there would be an easier method to create your own WordPress website rather than complete coding. I assume this is possible the only way it can be done, since there no systematic tool to design a website without knowledge of coding. Now you may argue, but I’m talking about real design. Not templated options. I know for a fact there is software out there for you to create a WordPress blog from templates and color options. This isn’t the kind of design I am talking about. A design platform will be key of course; most notable Photoshop seems to be the most efficient platform to design a WordPress template although it is possible with fireworks with a little more effort if that is your preference. In addition to the design you’ll need to slice and dice the site so you can export header, footer, etc. 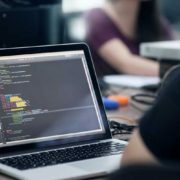 HTML, not too dissimilar to our PHP knowledge basics will helps greatly but you may be able to pick up what you need to know along the way as long as you are eager to learn. Those beginners out there, there is no better way to start as WordPress incorporates some of the most highly used coding platforms on the web today. There is no hiding from it, so bite the bullet and dive in. There are many tutorials out there which will help you design and develop your WordPress website, so get Googling! 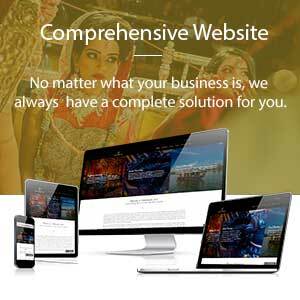 These days every single business and organization needs a website for their effective functioning. Even individuals have their own websites. Therefore, you should know how to build a WordPress website or any website for that matter. You may ask – ‘Why WordPress’? There’s a simple reason behind this choice – ease of use! WordPress has grown in popularity the world over because it is really easy to create and manage websites. You can easily add new posts and pages in addition to pictures, videos and much more on your WordPress website. 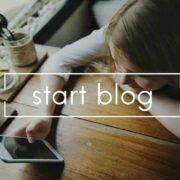 When it first began, WordPress has just a simple place where bloggers could organize their posts. 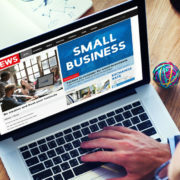 But, ever since it took its first step into the CMS world, it’s just been growing and growing – today it’s one of the most advanced and secure CMS platforms available to the common man. Building a WordPress site from scratch isn’t difficult, but you need patience and time. It’s not going to happen with the click of a button. Here are some of the things that you need to do in order to build your WordPress website or blog. Get a domain name – The first step towards building any website is to buy a domain name. A domain name is the virtual address of your website. – this is the domain name. Hosting your website – Once you buy a domain name, you would also need to find a good host. A hosting company sees to the storage of all your files and makes sure that the people visiting your website are capable of assessing the pages you’ve made public. Install WordPress on your hosting site – When you look out for a host, make sure that they support WordPress. Once you’ve downloaded it and got the right host, login to your account and install WordPress on your host site. 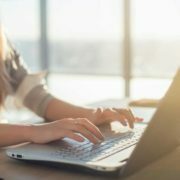 Customize you website – Once you’ve got it onto your computer, you could use themes and plugins that are available for free or buy some cool ones to enhance the functionality of your website. Post content – Now that the basic design of your website is completed; get ready to post information onto your website. That’s it, you’ve now got yourself a fully functional website using WordPress CMS platform. Well, you will get 7 steps guidelines for WordPress web design and this complete guide will help you to frame WordPress website design whether you are a beginner or professional. Although you can create a WordPress blog at WordPress dot com, I recommend registering your own domain name so you will have more control over it and you can brand your business. Select a domain name that is short, easy to remember and includes your business name or a keyword related to your business. A web hosting service allows your website to be displayed on the web. Choose a web hosting plan that has sufficient disk space and bandwidth to host your website files. Get at least 50 MB of space and 3 GB of bandwidth and make sure you have the option to upgrade your hosting plan should you need more space and bandwidth. Make sure your Web hosting plans include the installation of WordPress. Check tech support service by calling or e-mailing the company to see how fast they respond and how friendly they are. Log into your web hosting administration panel (domain.com/cpanel) and look for the Fantastico icon. Click on this icon, and look for the WordPress link. Clicking on this link will install the WordPress software in a folder on the server. It will ask you for the name of our site, where to install it (domain or subdirectory) and provide a password to log in to the admin panel of the website. There are hundreds of free and paid WordPress themes on the net. Google “free WordPress themes” to receive a list of themes to choose from. Choose on that suits your business and download the zipped files to your computer desktop. Unzip the files, then upload the new theme to the themes folder on the server (wp-content-themes) using FTP software (e.g. Filezilla, Smart FTP). Login to the admin panel, click on “appearance” to select your new theme then click “add new.” Refresh your browser to display the new theme. Click on setting – permalinks and check “custom structure.” Insert /%postname%.html and save your changes. This enables your web pages to have search engine friendly addresses. Every time you create a new post or page, insert your keywords in the title and content so the search engines spiders will index your content. An alternative way to optimize your content is to install the all-in-one SEO pack plug-in. Your web hosting plan usually includes site statistics which tell you how many visits your website receives, where they are coming from and the keywords used to find your site. View these statistics regularly to track traffic coming to your website. Here is a simple checklist for WordPress owners and publishers. WordPress is one of the most popular website platforms because of it’s ease of use however, it has its problems, and it is because of its popularity that hackers use this platform to attempt to inject their malware and malicious scripts. 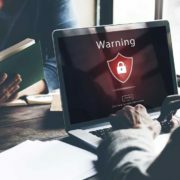 WordPress Security has become essential today to protect not only your website but your brand reputation. Often WordPress owners are unaware that their website has been hacked. Just because your website has been hacked it doesn’t necessarily mean you will see a strange image when you access your website. Hackers often disguise the fact they have hacked your site as they have injected a mailbot and you are spamming from your IP address.  Clean and remove spyware, malware and viruses from your PC/Mac before entering the backend of your WordPress installation. Backup your website before you do anything, this is easily done with the use of Backup Buddy. Never use ‘admin’ as a username. Stay Updated – Ensure your WordPress Installation and WordPress plug-ins are always up to date. See latest WP Security updates in the resources section below. Limit Login Attempts – Ensure you reduce the login attempts down to around 3 attempts. Don’t make it easy for the hackers. Remove unwanted WordPress Themes – When themes are still on your website and they go out of date hackers use these to gain entry. Only have the theme you are using installed and keep that up to date. Spring Clean – Your WordPress website may have other folders on the root of your server. Do you really need them or are they development areas. If you don’t need to folders delete them. Your Hosting Company – Make sure you are using a hosting company that specializes in WordPress installations. WordPress servers need special attention to protect your website. Double layer Authentication – Use an added layer of security. Whilst the checklist above is not an exhaustive list, it is a foundation level of security. Protection is the start of the process, monitoring your website on a daily basis is important. We realize that many website owners just don’t have time or the knowledge, so we provide 3 services that can be found in the resources section below. 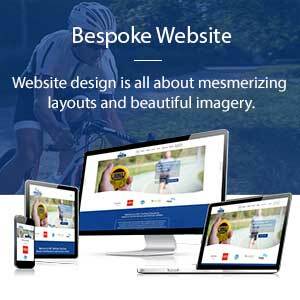 For companies which are looking for simple and effective web or blog design options. WordPress Development is the ideal most solution. This platform offers effective open source development platforms that help you easily customize the website to your business needs. The fact that this platform is an open source content management system; it offers tremendous flexibility with respect to customizing your entire online development initiative. 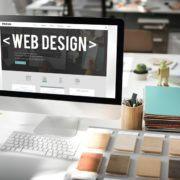 The market has an array of expert WordPress Development professionals who will assist you in building custom themes and templates, and even help in modifying pre-existing ones to build a unique portal that fits your design, style and internet marketing objectives. Not only is the portal extremely easy to use, but it is also an effective open source WordPress Development additionally provides inexpensive theme and plug-in development solutions which allows you to develop a content rich, friendly and lightweight portal for your audiences. It is extremely easy to add as many plug-ins as you want. Additionally, it offers the unique capability of switching between themes and customized widgets without the need to make any modifications in the PHP or HTML coding of the portal. There is no task easier than installing and hosting a WordPress website. All the developer needs to do is identify a hosting company and with a single click proceed to the installation process. This platform also offers easy solutions that make for effective back linking exercises. One can easily gain access to track-back or ping-back support standards for link exchanges. It’s superior plug-in architecture enables to enhance the functionality of the features that are incorporated on the portal through WordPress Development. A major benefit offered by this open source development platform is the enhanced features in security that are empowered by features such as complete user registration, protection from spam, password protected content uploading and posts as well as simplifying the installation and upgrading features f the website. This portal offers impressive capabilities to effectively manage and absorb high traffic levels by taking control of the server load thus ensuring that the website works efficiently at all times. Not only us WordPress Development an extremely simple and quick way to create a blog site, but it is also extremely marketing objectives. The moment you set your WordPress domain live, it provides a vast variety of features that help you get creative with our content allowing you to manage your SEO objectives efficiently.